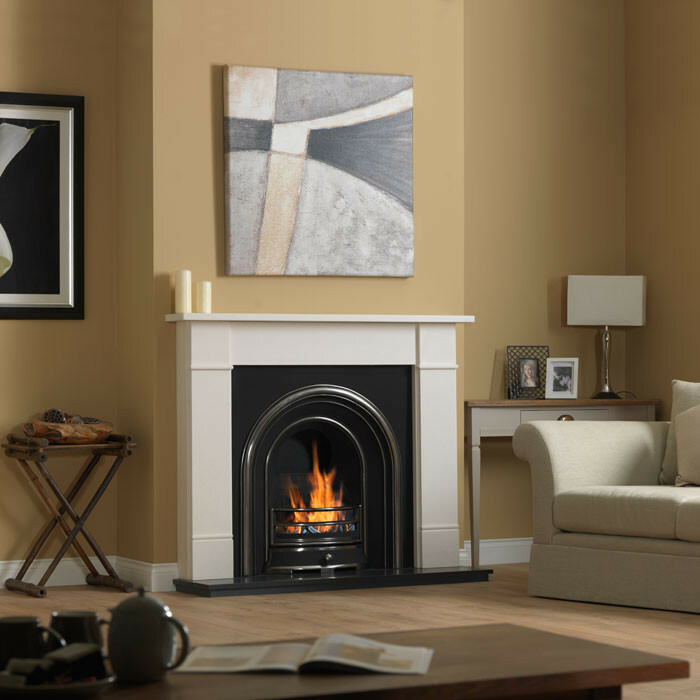 The Gallery Brompton Stone Fireplace with Jubilee Cast Iron Arch consists of the Brompton stone mantel in Agean limestone or Carrara marble and the Jubilee highlighted cast iron arched insert with cast back. 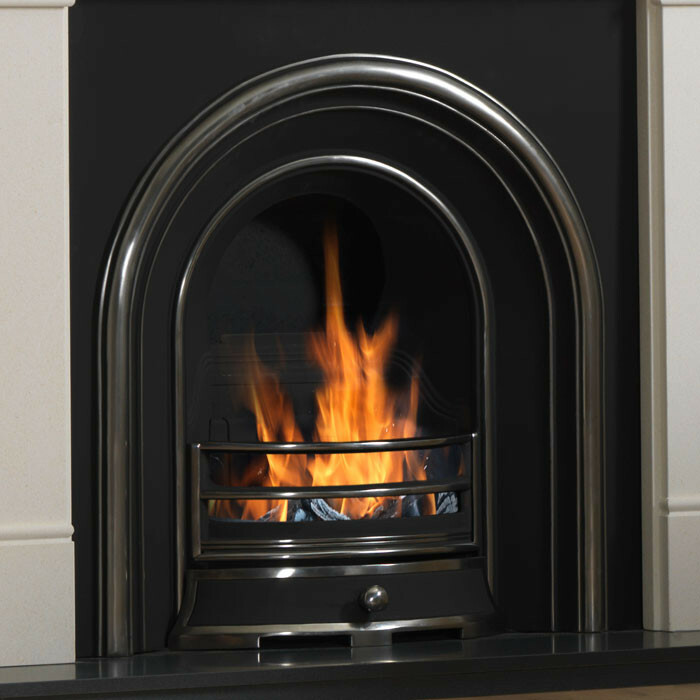 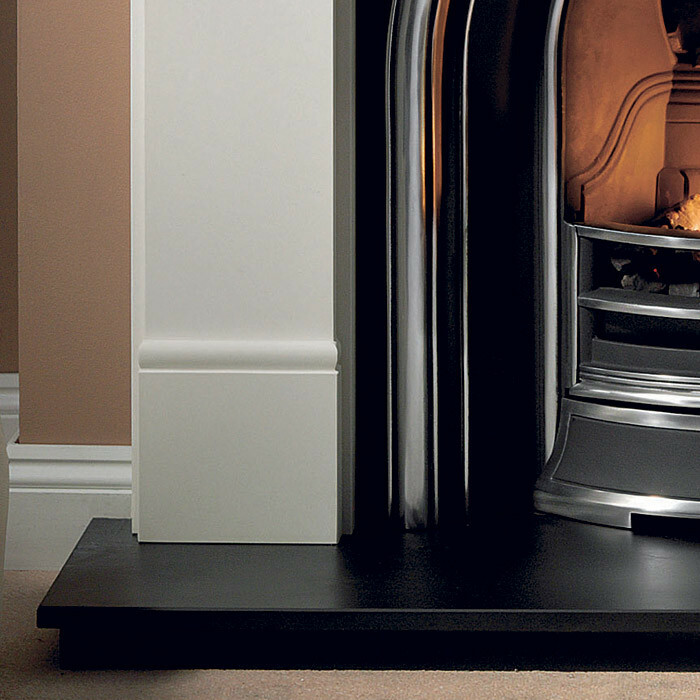 There are extensive hearth options available alongside a gas fire, electric fire or solid fuel kit for real fires. 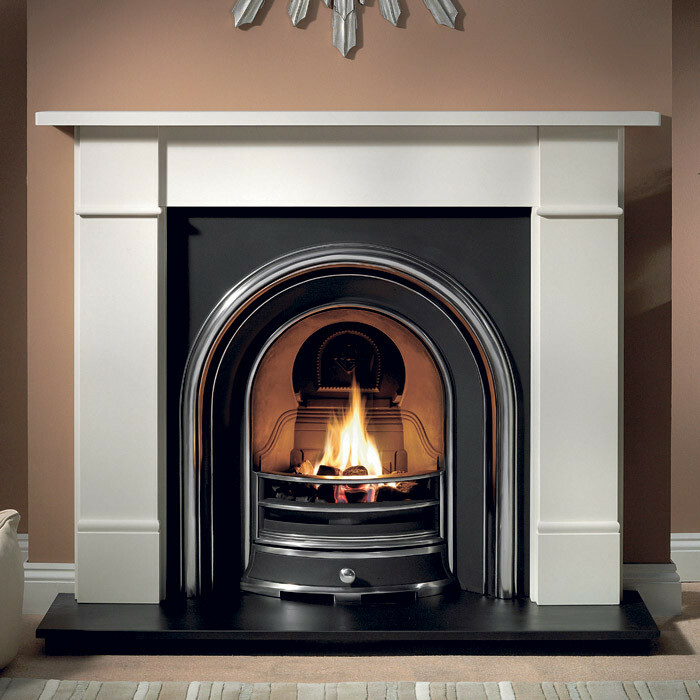 The Gallery Brompton mantel is designed in the style of traditional flat Victorian fireplace surrounds, in either Carrara marble or Agean limestone. 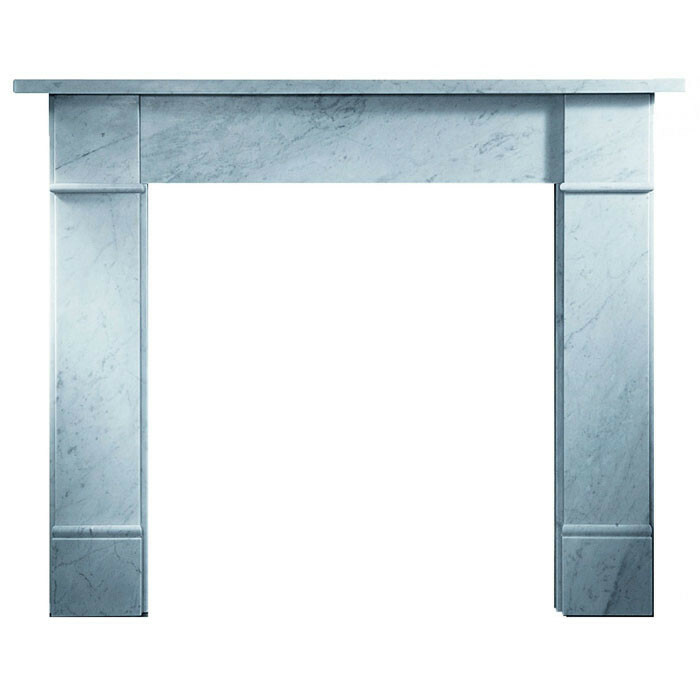 The Brompton Carrara marble mantel is made from a single solid stone block by the quarry, cut into slabs and crafted into the product you see here. 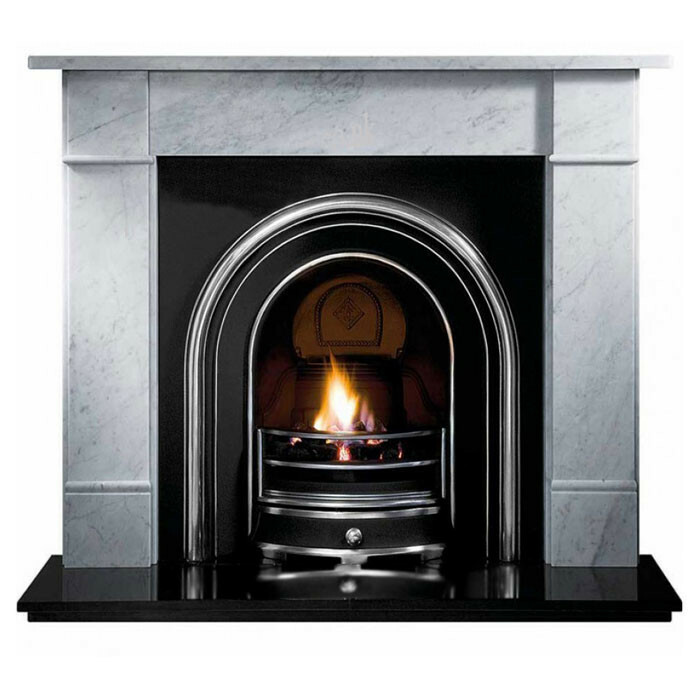 The Brompton Carrara marble surround is highly polished with grey veining on a lighter background, and being a natural product no two Brompton Carrara mantels are the same. 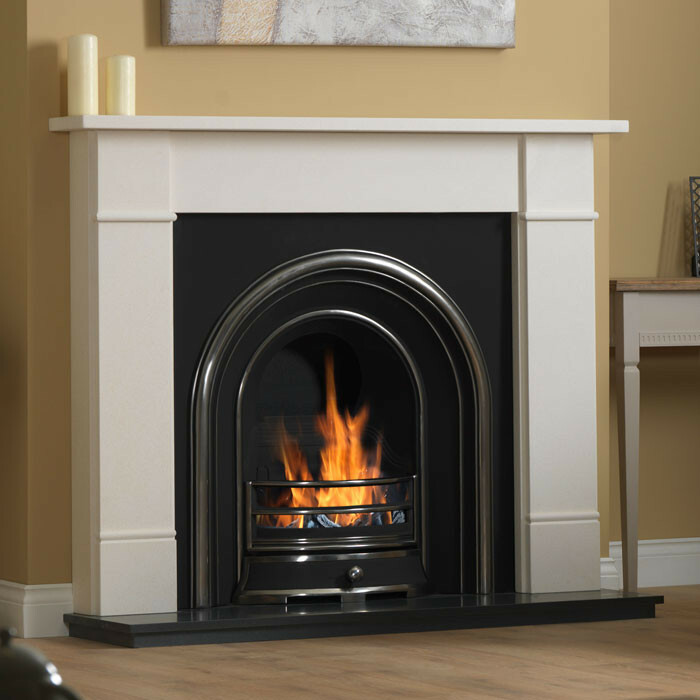 The Brompton Agean limestone surround is pre-sealed and manufactured from 100% natural material. 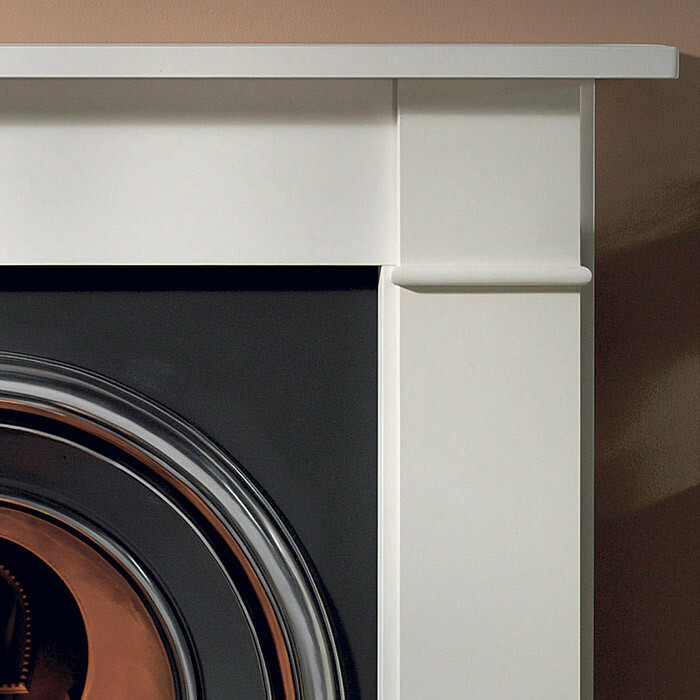 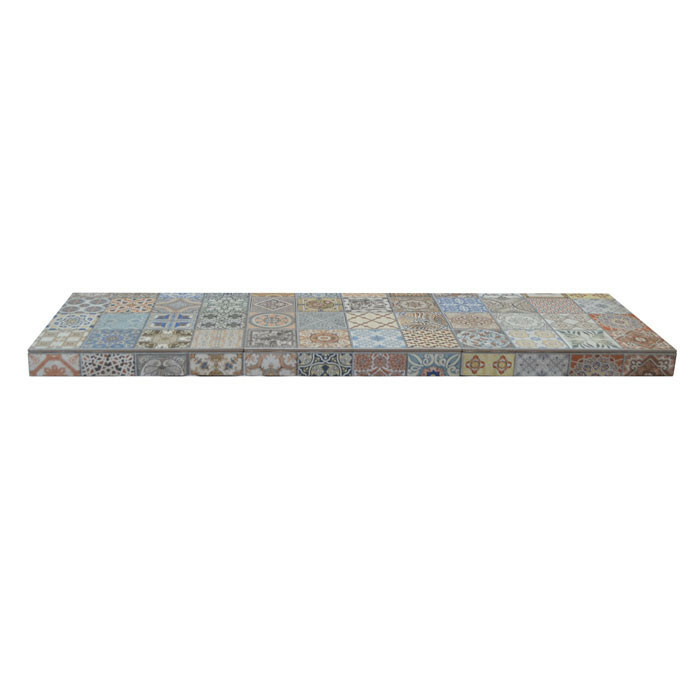 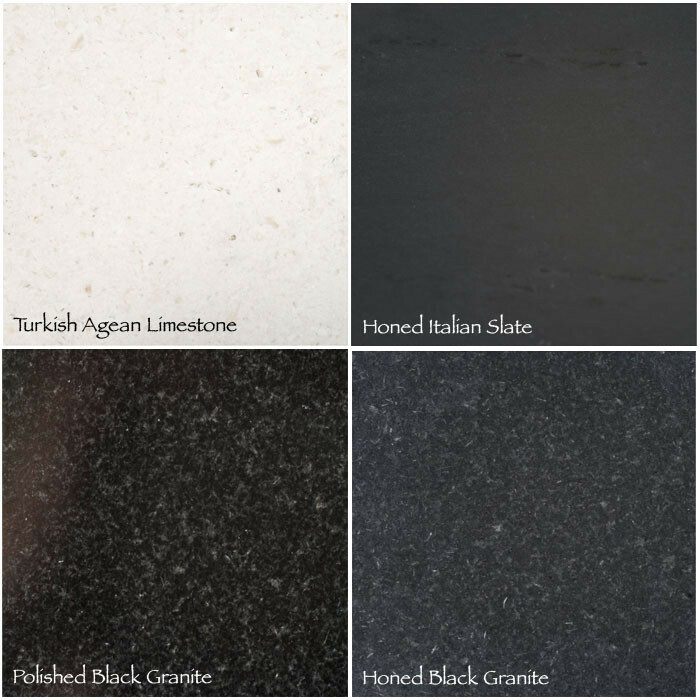 The Brompton limestone mantel you purchase will be unique due to variations in fossil formation, veining and colour. 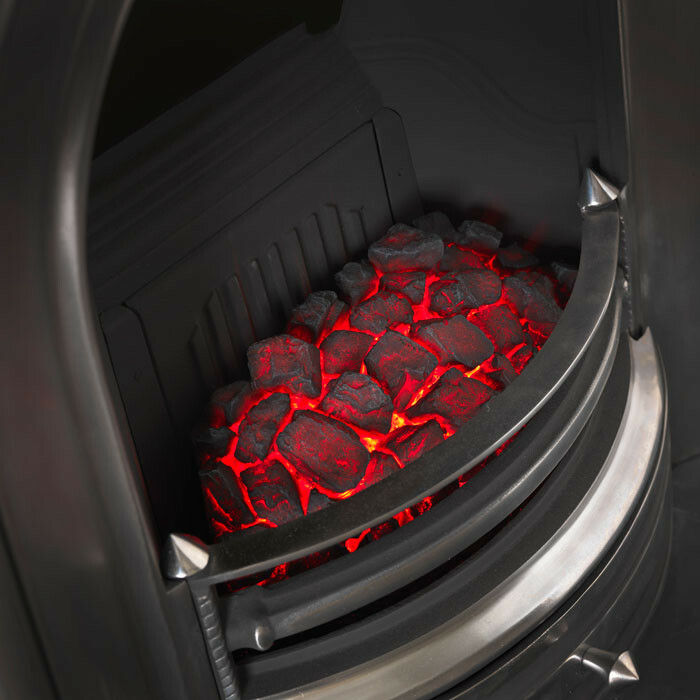 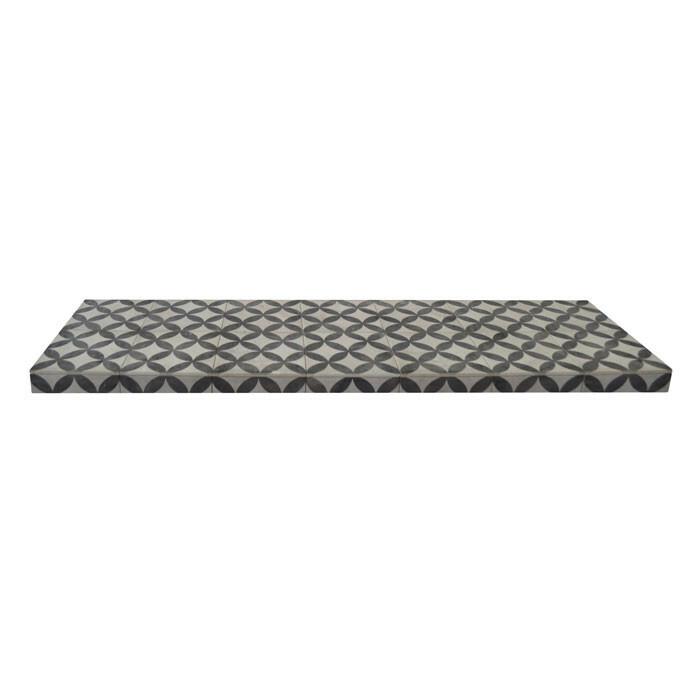 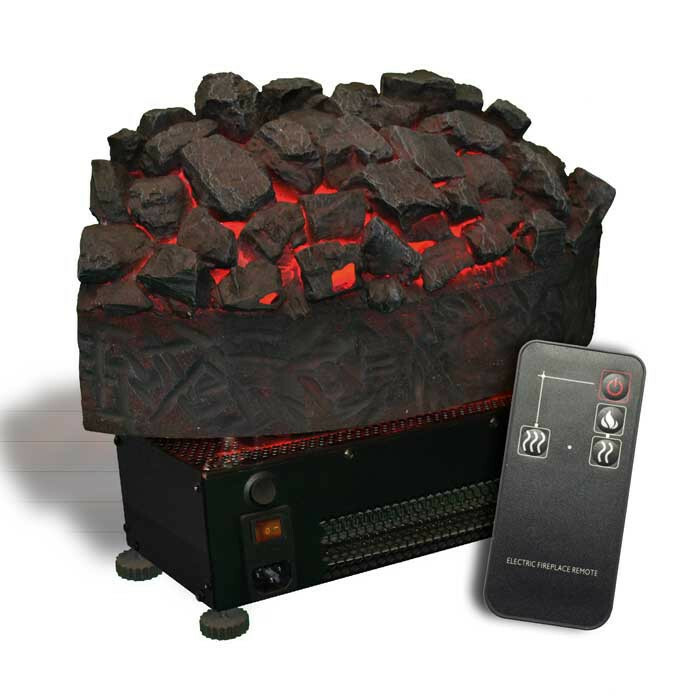 Optional hearth tongue (this sits inside the fireplace so when you remove the ash pan cover it does not reveal your floor).